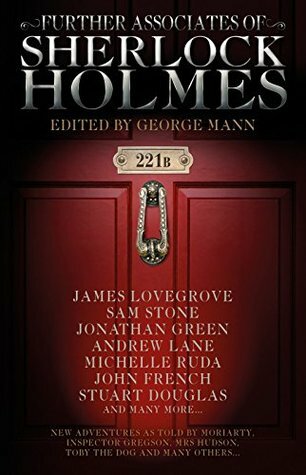 In this collection of stories, those who have seen or worked with Sherlock Holmes in the past now get a chance to tell stories of their own. Moriarty had always been a background presence in the Arthur Conan Doyle stories, but here we get a chance to hear his voice and point of view. He's quite callous, in control of his network of informants as he is of his emotions. The Baker Street Irregulars have a presence, and it's fun to see Sherlock from that perspective. While Lestrade is the usual Scotland Yard presence in Sherlock Holmes' life, other Inspectors make appearances as well. Bit players in various stories, Mrs. Hudson and Toby the dog are narrators as well, and I enjoyed seeing the world and Sherlock through their eyes. The stores are very well done, with distinct and various voices of the characters. This gives us different points of view on the great detective and his methods of deduction. It's in the same style as the traditional Sherlock Holmes stories, so this could very well neatly fit into that canon. This collection is a great addition to any Sherlock fan's library.